NHL Central Scouting released their final rankings ahead of the 2019 Entry Draft taking place June 21 and 22 in Vancouver and 10 BCHL players are listed. Leading the way is Victoria Grizzlies forward and BCHL MVP Alex Newhook. The league’s leading scorer is ranked 13th among North American skaters, up three spots from his mid-term ranking, and is expected to go somewhere in the first round. His teammate and regular linemate Alexander Campbell is next on the list at number 43. Campbell was barely on anyone’s radar coming into the season, but the BCHL Rookie of the Year has seen his stock rise dramatically after a standout year in the league. He’s projected to go in the second or third round. The biggest riser on the list is Prince George Spruce Kings defenceman Layton Ahac who jumps up 52 spots to land at number 62 in the final rankings. The BCHL Second-Team All-Star is in his second year in the league and has seen his offensive game grow on Prince George’s run to the league finals, chipping in with 14 points in 15 games so far. He’s projected to go somewhere in the third or fourth round. 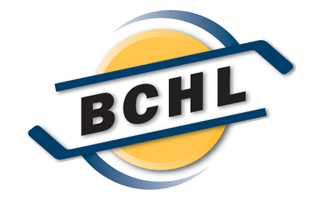 Other BCHL players on the list are Chilliwack Chiefs forward Harrison Blaisdell (#80), Penticton Vees forward Massimo Rizzo (#84), Victoria Grizzlies defenceman Jeremie Bucheler (#114), Chiefs forward Kevin Wall (#124), Grizzlies defenceman Carter Berger (#157), Langley Rivermen forward Ethan Leyh (#167) and Penticton Vees defenceman Mason Snell (212). 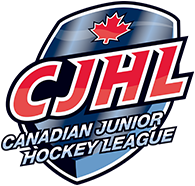 There are 24 CJHL players listed overall. See below for the entire list.